Innovation happens at the intersection... of two or more different, yet similar, groups. the ocean meets the shore. The intersection of Art and Technology will be highlighted at Cleveland's Ingenuity Festival next week. Art, dance, music, theater and technology remixed through a long weekend: July 19th - 22nd. 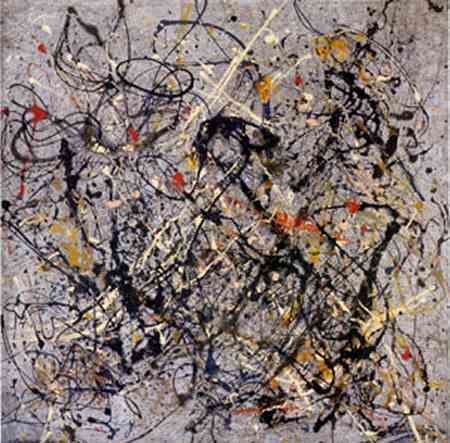 I was first introduced to the intersection of art and technology many years ago when a client told me, after a long examination of a social network map of his organization, that my network diagrams reminded him of Jackson Pollock paintings! I took that as a compliment, and the art/tech seed was planted for me. Hmmm... I thought... analytic data visualizations as art... could be! As a prelude to the Ingenuity Festival, Cleveland State University is holding a public forum on Creativity and Technology. Come hear more about Innovation at the Intersections! UPDATE: For a more detailed examination of Innovation at the Intersections come hear Ed Morrison and Valdis Krebs at the Synergy Speaker's Forum, Saturday, July 21st @ Noon during the Ingenuity Festival. I like the intersections idea abut innovation; my own line had been that innovation happens when you find the person to whom a novel solution is obvious (i.e. the cleverness is finding the person, not the idea). This is more elegant.